If you’d prefer that a certain browsing session didn’t make its way into your history, then you need to use Silk’s Private Browsing mode. 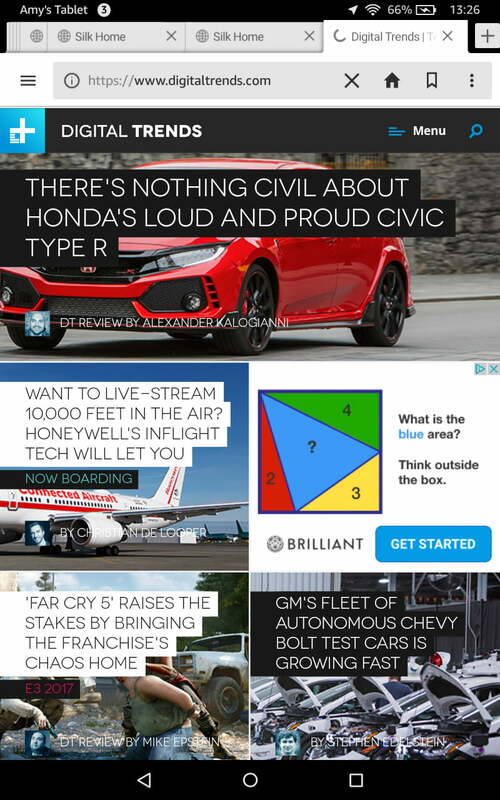 To do so, tap the three vertical dots in the upper-right of the web browser and select Enter Private Browsing. When you’re in Private Browsing mode, the pages you visit are not recorded in your browser history, but remember that your internet provider and the websites you visit can still view your browsing habits. You can tell when you’re in Private Browsing mode at a glance, because the Silk background becomes a darker color. You can close tabs one at a time in the Silk browser by tapping the “X” in the upper-right corner, but did you know that if you tap and hold “X” you can bring up an option to Close all tabs simultaneously? This is ideal for cleaning up after a marathon browsing session. 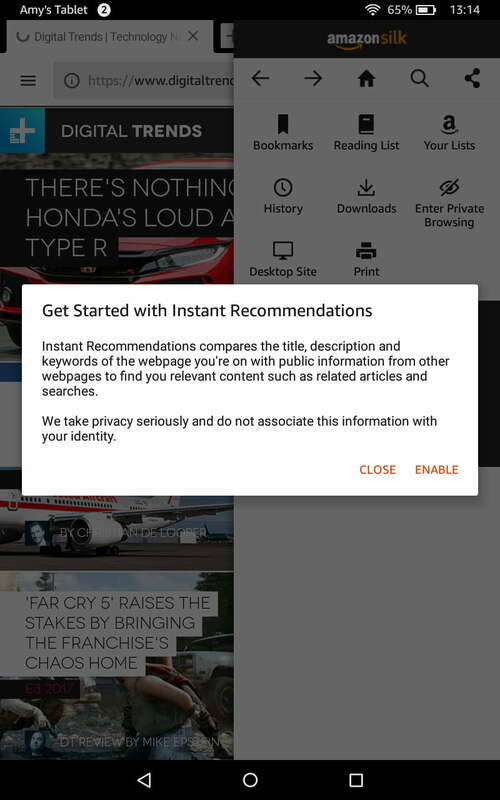 The Silk browser has a nifty feature called Instant Recommendations, which serves up related searches and articles based on the webpage you’re currently visiting. 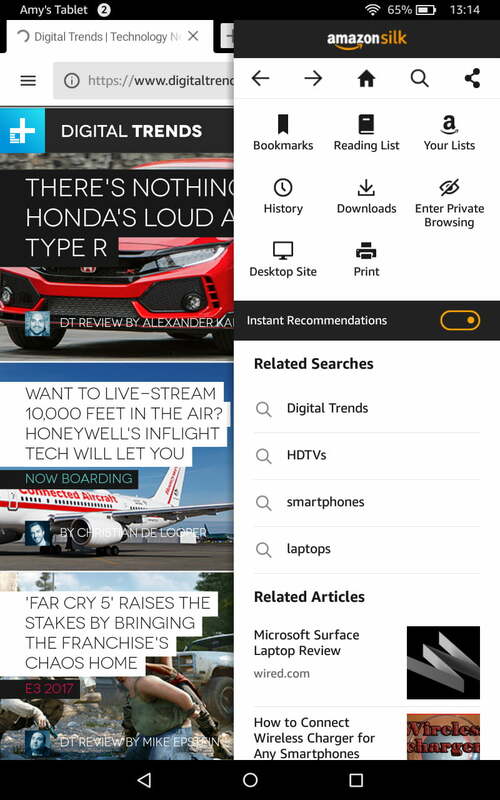 Tap the three vertical dots in the upper-right corner to open the menu, where you can then turn Instant Recommendations on. Once activated, suggestions for other content and searches you might want to pursue will appear in this tab. If you want to grab a picture of your Fire tablet screen, then all you need to do is hold down the Power button and the Volume down button at the same time. If it works properly, you should see an animation and hear a capture sound. You’ll find your screenshots in the Photos app. If you plan to share your Fire tablet with the rest of the family, then you should set up individual profiles. You can do this via Settings > Profiles & Family Library. You can add a total of two adult profiles, or add up to four child profiles. 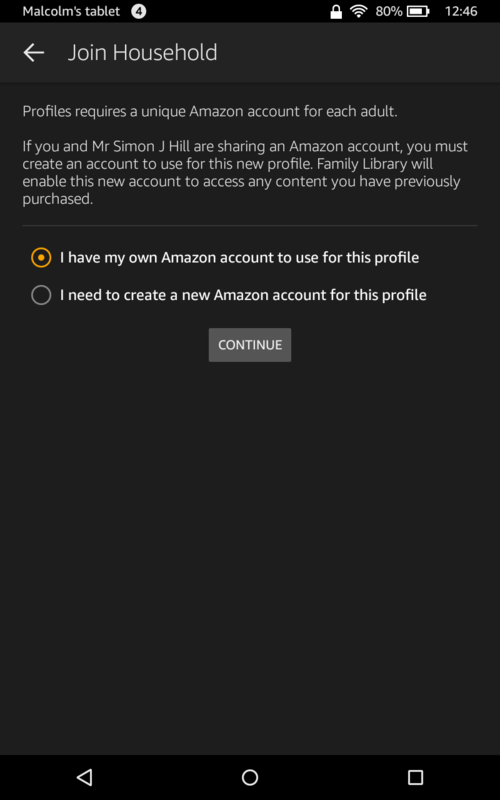 An additional adult profile will require a separate Amazon account, but it effectively allows you to share content and personalize what you see when you log into the Fire tablet. There are kid-centric editions of Amazon’s Fire tablets, but you can always set up an existing Fire tablet with a child’s profile. 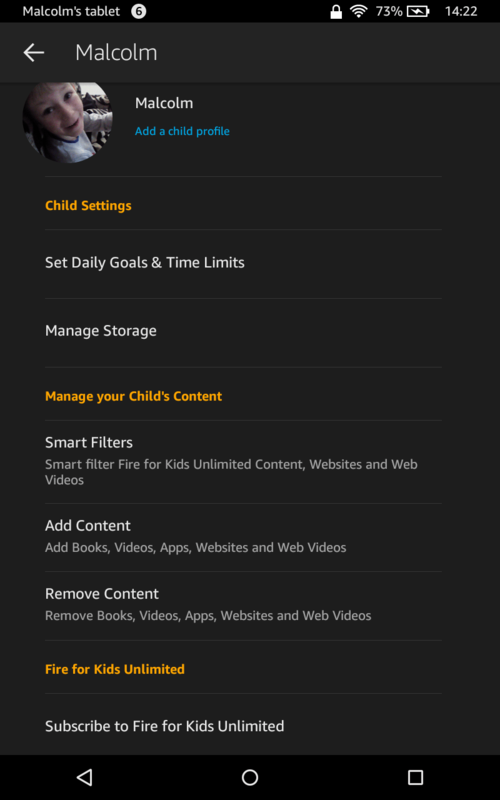 To do so, go to Settings > Profiles & Family Library > Add a Child Profile and fill in the details. 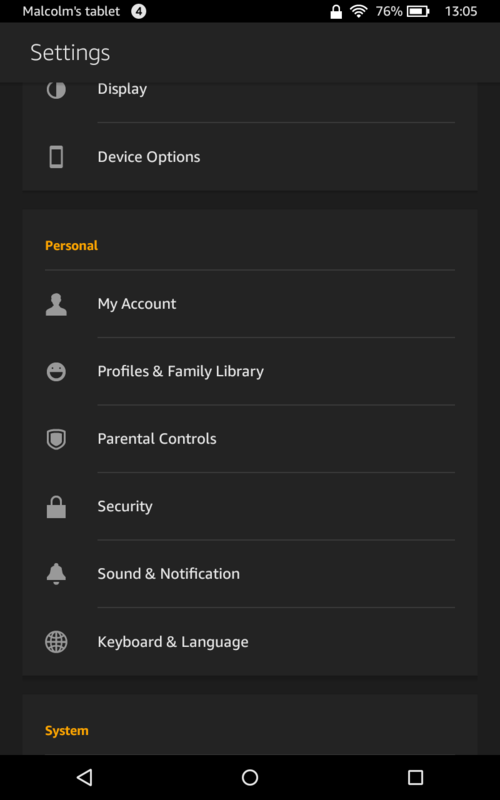 Once you have created a child’s profile, it will appear at the bottom in Settings > Profiles & Family Library and you can tap the profile to manage it. Amazon’s parental controls are excellent, too. You can set daily time limits, schedule times when the tablet can’t be used, and handpick the content that’s available to your child. There are also smart filters for web access and you can review what your child has accessed online — or what they’ve attempted to access. 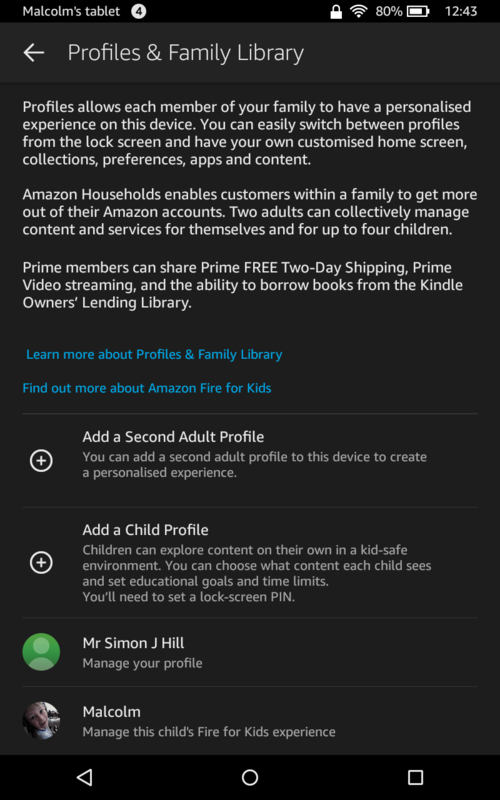 The profile management page also offers the option to Subscribe to Amazon FreeTime Unlimited (listed as Fire for Kids Unlimited in the U.K.). For $5 a month — or $3 a month if you have Prime — the service provides access to more than 10,000 books, movies, TV shows, games, and educational apps suitable for your child’s age group. 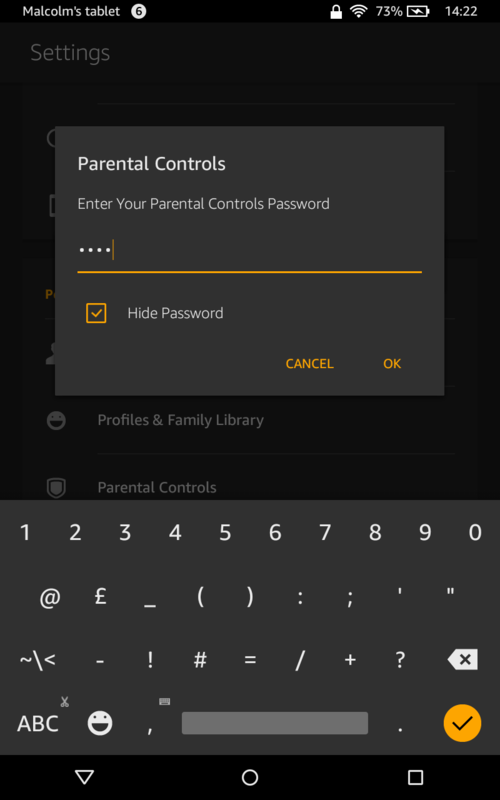 You can read more about setting up parental controls here. Amazon lets you buy its Fire tablets for a little less if you’re willing to accept adverts or “special offers” on your lock screen. If you get sick of these ads and decide you want to remove them, then you can, but it’s not very straightforward and it will cost you $15. This is best done on a laptop or desktop. Go to Amazon in your browser and sign into your account. Click on Your Account > Your Apps and Devices and choose Your Devices from the menu on the left, then click on Actions next to the Fire tablet in question and Manage Your Content and Devices. 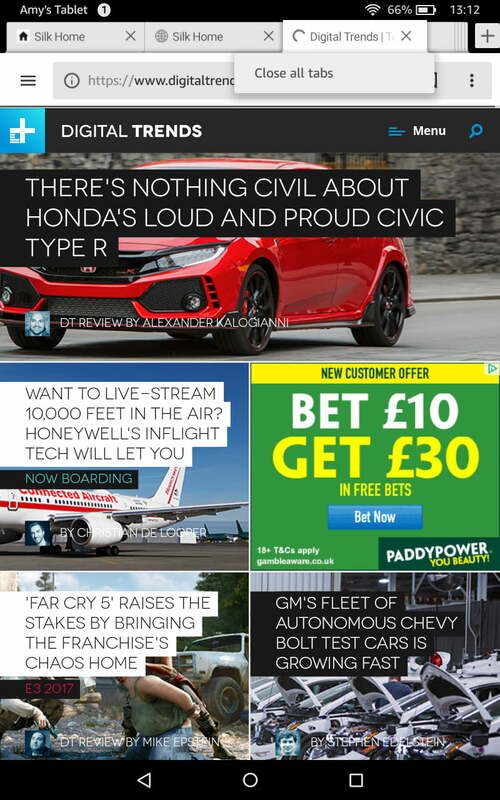 Click on the Your Devices tab and you’ll see Special Offers listed. It will say Subscribed next to it. Click on Edit and you’ll get the option to Unsubscribe for $15. It’s a shame that Fire tablets are locked into the Amazon Appstore by default because there are many more apps available in the Google Play Store and other Android app stores. Thankfully, you can load apps from other sources in a process that is known as sideloading. You will need to find the APK file, however, and get it onto your Fire tablet to install it. 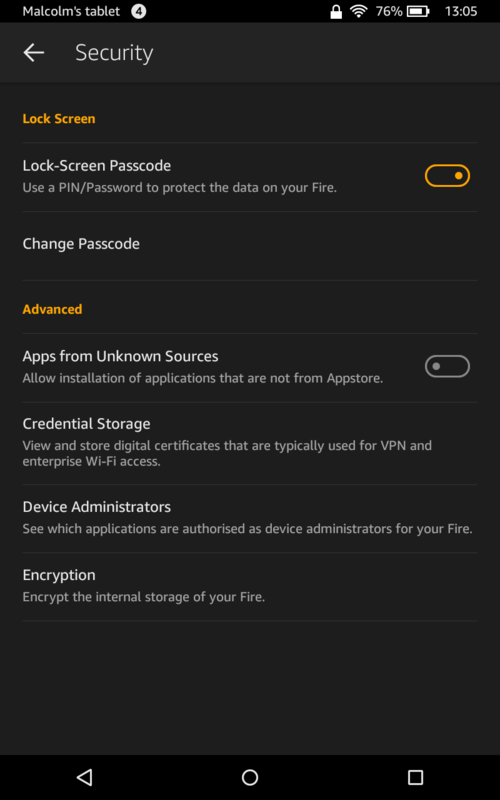 To turn on the option on your Fire tablet, go to Settings > Security and toggle Apps from Unknown Sources on. We recommend you only do this temporarily to install an app and then toggle it off again once you’re done. There are lots of websites where you can find APK files, but you should exercise some caution because there’s a lot of malware out there. 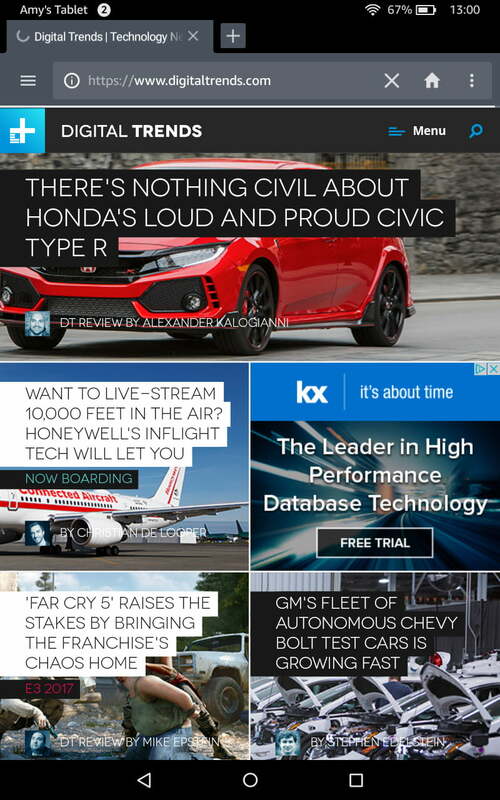 APK Mirror is a very popular site, but stick to APK files with good reviews that have already been downloaded and used by a lot of other people. 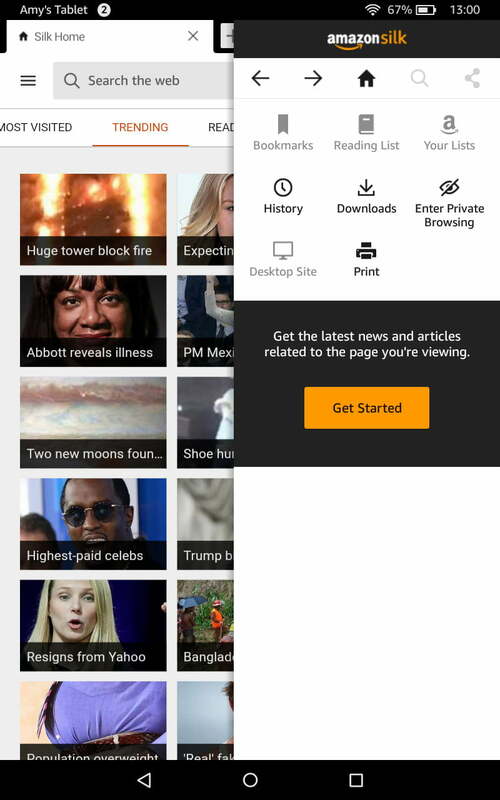 You’ll also want to install an app like ES File Explorer. Download the APK file to your computer and plug your Fire tablet in to transfer it, or download the file directly onto your tablet via the browser. Once the download is complete, use your file explorer to find the APK file on your Fire tablet and tap on it to initiate the install. Update: We’ve added tips for changing the wallpaper, blue light, private browsing, closing all tabs, and instant recommendations.